Gabriela Garcia is the newest member of the KAGS team, and is excited for her broadcast journey in the Brazos Valley. BRYAN, Texas — Gabriela, or "Gaby" became a part of the KAGS news team in March 2019. She was born in Whittier California just outside of Los Angeles, but raised in Houston. Gabriela lived in the Bayou City with her family until joining KAGS' sister station, KYTX in Tyler, Texas. As a young girl, Gabriela, or "Gaby" enjoyed watching the news, and even "interviewing" her friends and teachers at recess. After attending grade school just outside of Houston, she became a proud Cougar, graduating with honors from the University of Houston-Main Campus with a B.A. in Journalism (Go 'Coogs!). After getting her diploma, Gabriela hit the ground running, starting her broadcast career at KYTX. She played many roles there, acting as a digital producer, anchor and reporter. 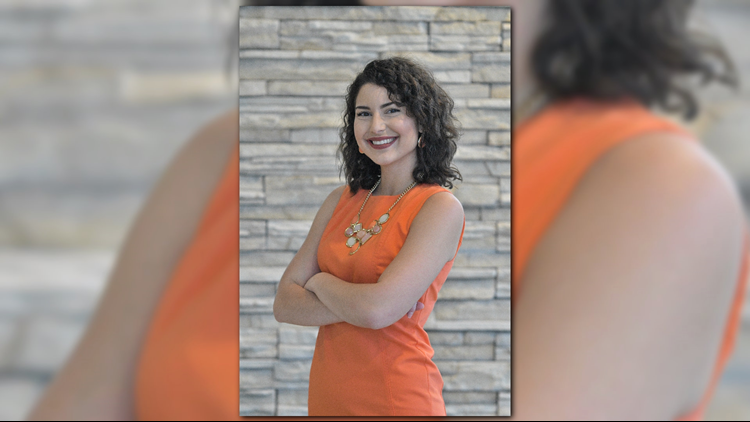 In March 2019, she made the move out to Bryan-College Station to be an anchor at KAGS. These days, you can find Gaby happily exploring her new home in the Brazos Valley, and she welcomes any local restaurant recommendations with open arms!